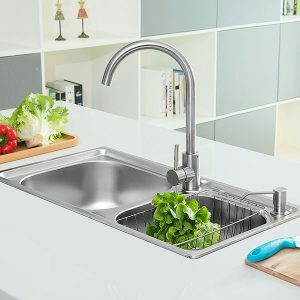 Nothing demands as much quality in functionality as the fixtures in your kitchen. 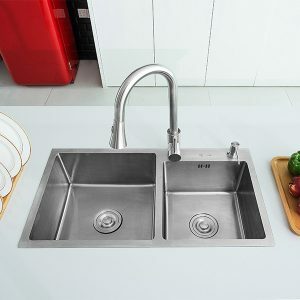 Standing out as one of the often-used fixtures is the sink. 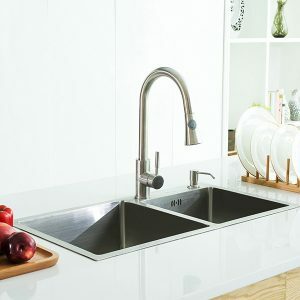 Making meals, washing up, cleaning, everything demands the smooth flow of clean water, and our double bowl kitchen sinks will give you just that. 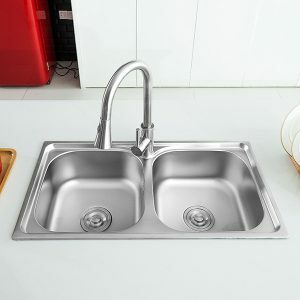 Engineered out of the highest quality stainless steel, our double bowl sinks are tested for ease-of-use. 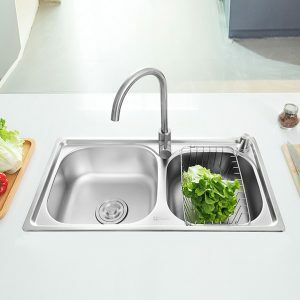 The double-bowl design delivers convenience to those who need to divide and conquer washing when conducting day-to-day kitchen tasks. 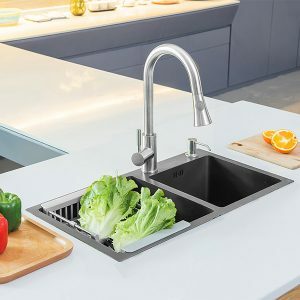 Durability:Our stainless steel sinks are suitable for extended use every day, making design and functionality last for years. 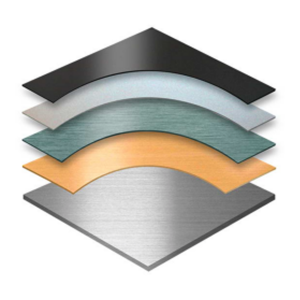 Quieter Use:The luxury steel look does more than just add to the aesthetic appeal of your kitchen. 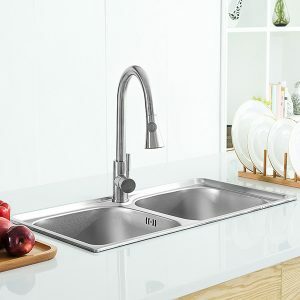 Experience a noise-free use with our sinks every time! 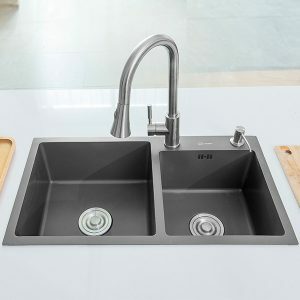 Bacteria-Resistant:We also offer double bowl kitchen sinks with nanotexture finishing to prevent residue and bacteria buildup. 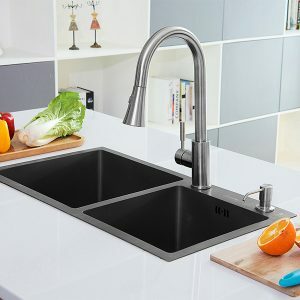 Have more questions about our sinks? Contact us today!